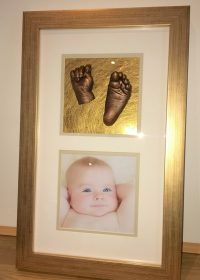 Baby Handprint & Footprint Imprint Kits: Are they a good idea? Are DIY baby impression kits a good idea or a waste of money? When you have a new baby, every day is an adventure. Of course, you want to capture every moment and treasure it, and so you should. 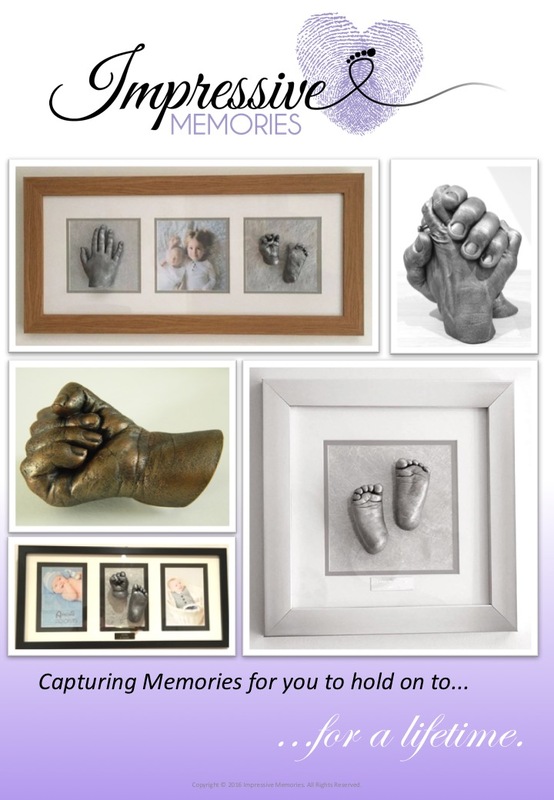 They don’t stay little for long and every day they are growing…what keepsakes should you be capturing? 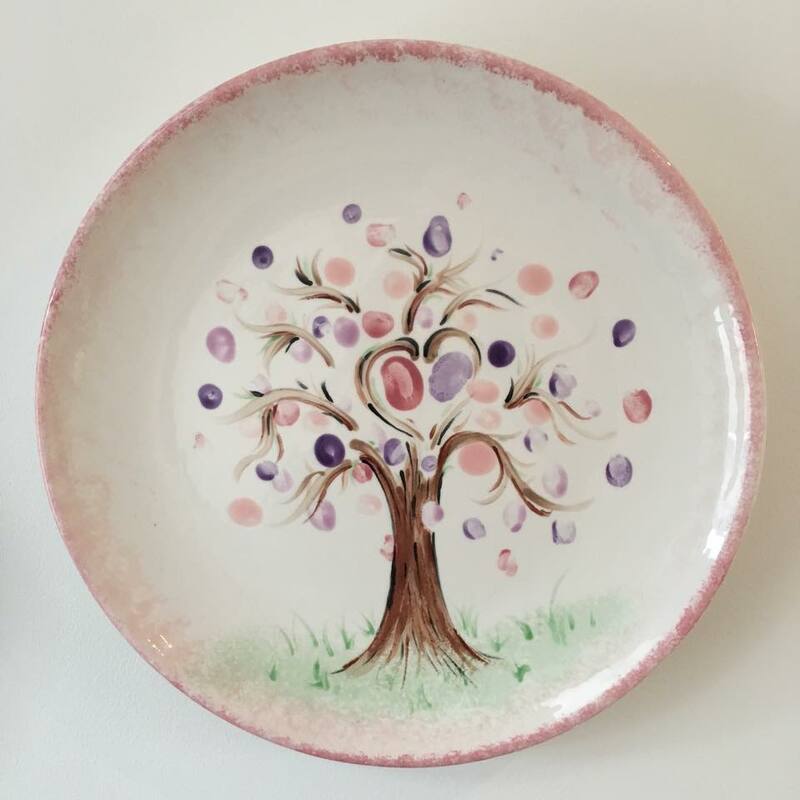 As well as taking eleventy billion photos (a day) you might also try your hand at some arty crafty stuff! Who wouldn’t want an adorable card made with a little painted hand or footprint? This can get a little bit messy, but it’s good fun and the results don’t need to be perfect. Homemade means it was made for you, at home. 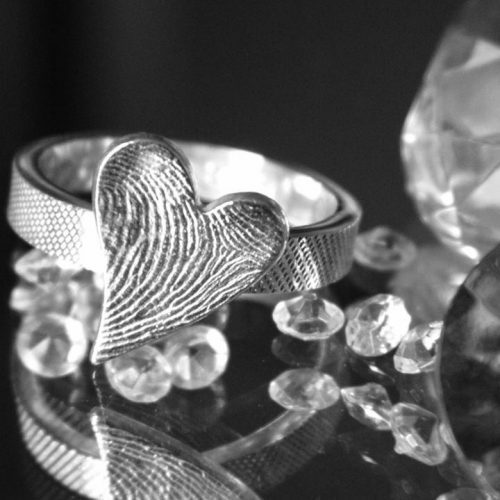 Low budget – High sentimental value. 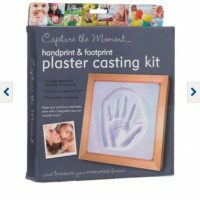 And then you see a kit in B&M Stores…it looks quite cool…you can make an imprint of those tiny hands and feet (that are growing up way too quickly) and you have a beautiful keepsake to treasure forever! 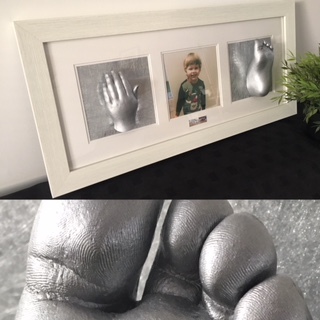 A framed imprint of Isaac’s hands and feet. Each kit was £4.99 – we bought two. They were VERY brief, just bullet points and really simple. We followed the instructions. We measured the cold water and mixed up a really runny and watery mixture and poured it into the container provided. Then we had to try and get Isaac in it! NO!!! It was a disaster. The mixture was really cold and runny…trying to put a young baby into it was impossible! The dish was useless too. It just made a sticky mess! 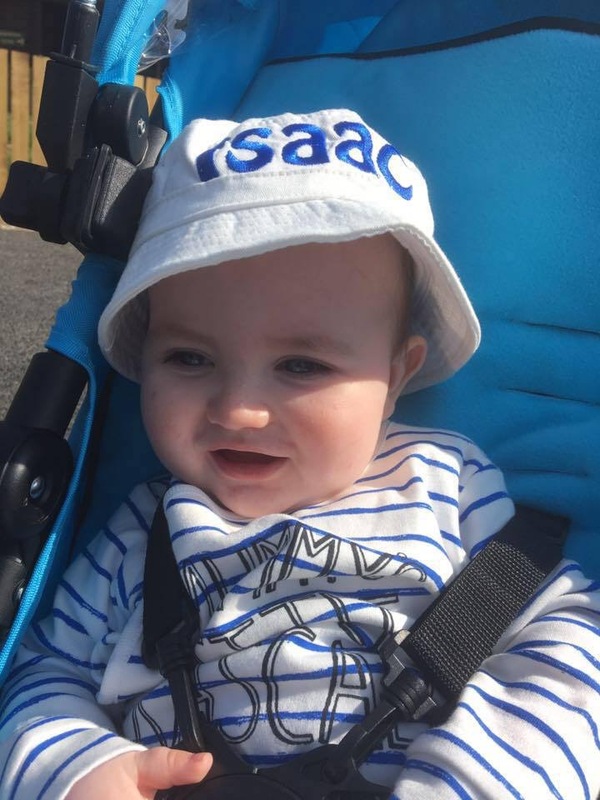 What did baby Isaac make of it all? He hated the cold and seemed a bit confused! Probably wondered why his parents found it all so funny! Was there enough mixture to have another go? No! Only enough for one go – that was it. We didn’t want to attempt it again anyway! We started to look on Google. 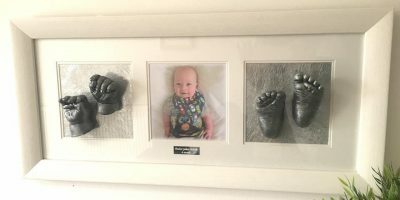 We knew someone in Edinburgh who did baby casts but they weren’t doing them now so we searched online to see if there was anywhere locally that did this professionally. That’s when we found Impressive Memories. 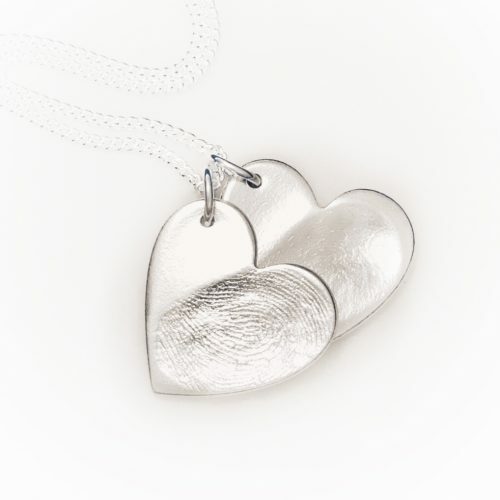 What is the difference between an imprint and a lifecast? I think it’s important to understand the difference. 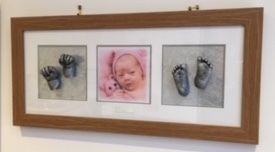 Imprints and outprints can be made in stone plaster or ceramic. 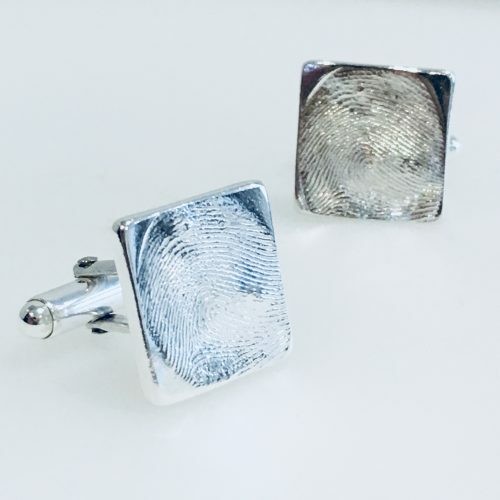 Again, this depends on whether you’re making them at home or having them done professionally. 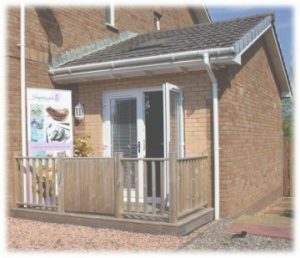 With good instructions and materials, these are achievable at home. 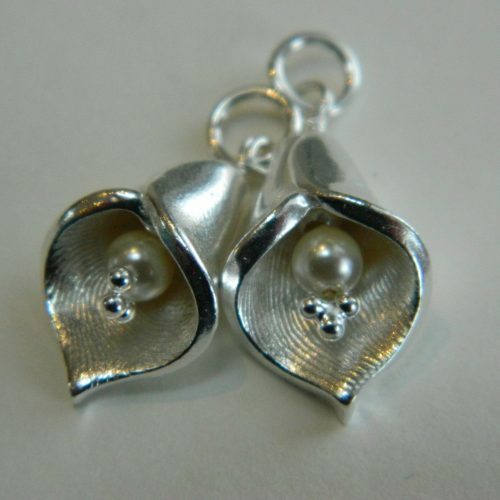 I am going to produce a ‘How To’ guide soon to let you make these, successfully, at home. What is a 3D Lifecast? 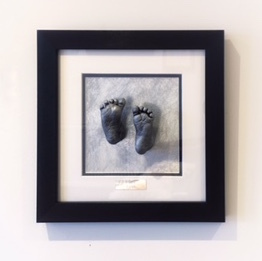 A 3D life cast is a high definition, exact replica of all of baby’s hands & feet. Fully three-dimensional. Much more difficult to create and in my opinion not something to be done at home. Expect to pay a higher price for this than a 2D imprint. 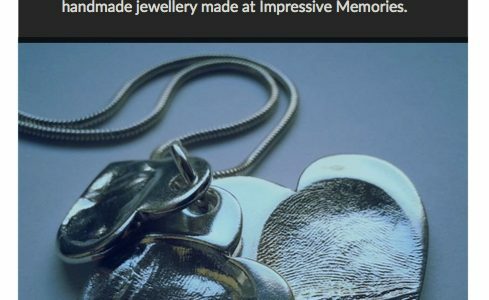 Having attempted a 2D Imprint with no success, Genna and Derry visited my Impressive Memories website. 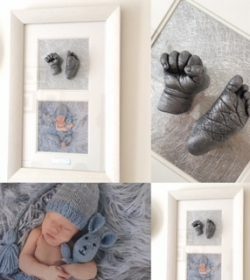 They decided they wanted 3D lifecasts of their son Isaac. 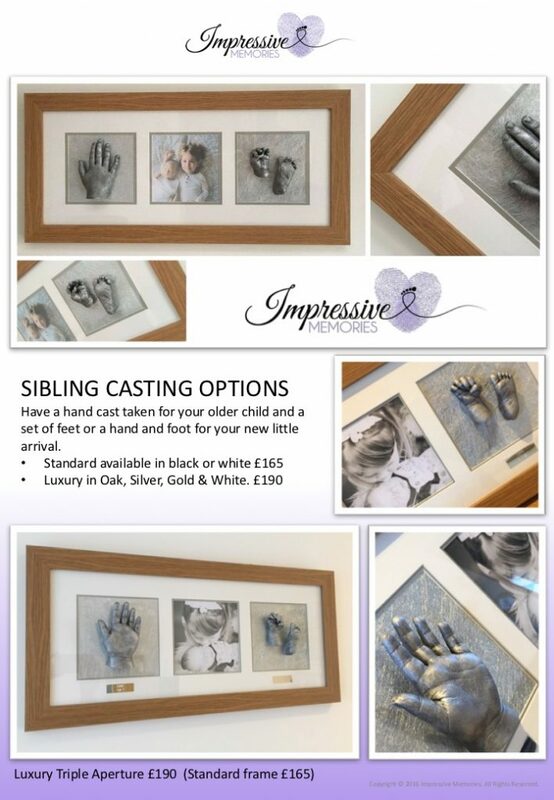 They looked online and chose from the luxury range of frames. 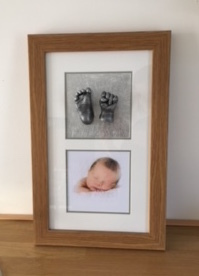 They knew they wanted a luxury oak, single aperture frame with a cast of Isaac’s hand and foot finished in antique silver. Instead of wasting £10, they invested £120. It may have been more expensive, but the end result proved to be an investment, not a disaster. Isaac was wide awake throughout his casts being taken but he was totally at ease and relaxed throughout, and so were mum and dad. In less than an hour the family had been and gone. No mess. No fuss. Not cold and no disasters. Today, almost 5 weeks later, Genna and Derry came back to collect their completed order and were delighted with the results. The level of detail and the beautiful relaxed little fingers, not to mention Isaac’s characteristic little squished toes. “Don’t do it – don’t waste the money, invest in a professional”. A really easy guide for you to make 2D impressions at home SUCCESSFULLY! 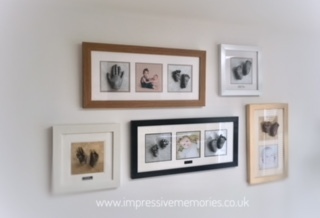 2D impressions are so easy to do and with my help, you can make beautiful memories at home. Disaster free! 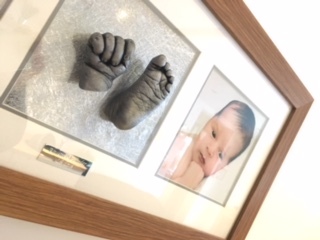 Thinking about Baby Life Casting? 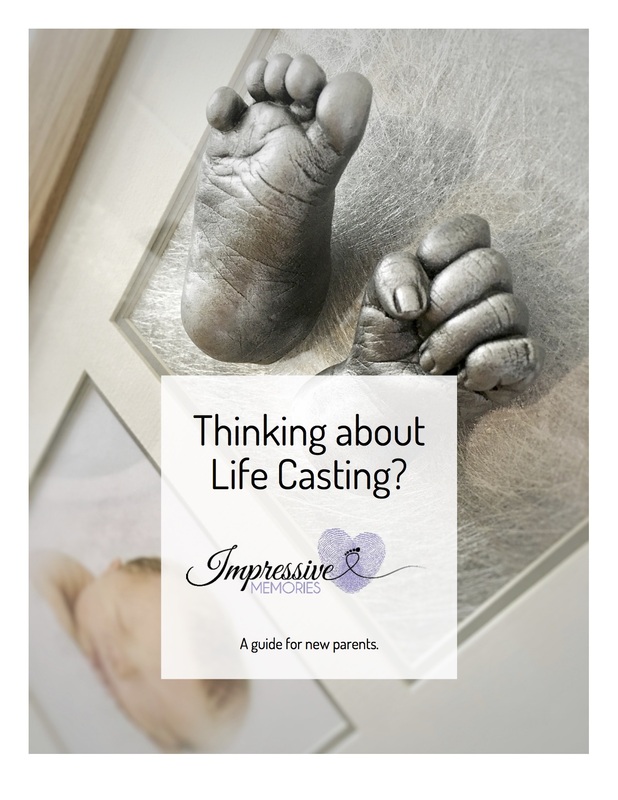 This handy little eBook is stuffed full of all the answers that new parents ask me about life casting their babies and children. Is my baby suitable? How do I book? Is it safe? How does it work? How Much will it Cost? 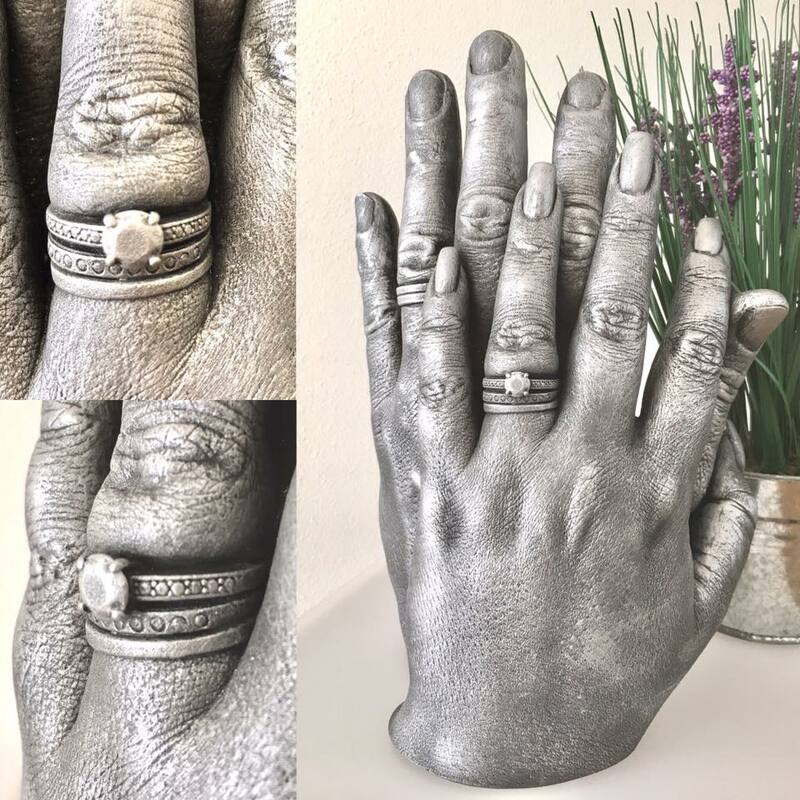 What to expect before, during and after a life casting appointment. So you’ve decided that you’d like baby casts taken. What should you expect before, during and after you capture an Impressive Memory? Maybe I was recommended to you by a friend. Or maybe you saw a post on social media, or searched online. Did you attempt your own casts with a kit, or read my blogs? Now the decision is made – you’re ready to create YOUR Impressive Memories – so what happens next? 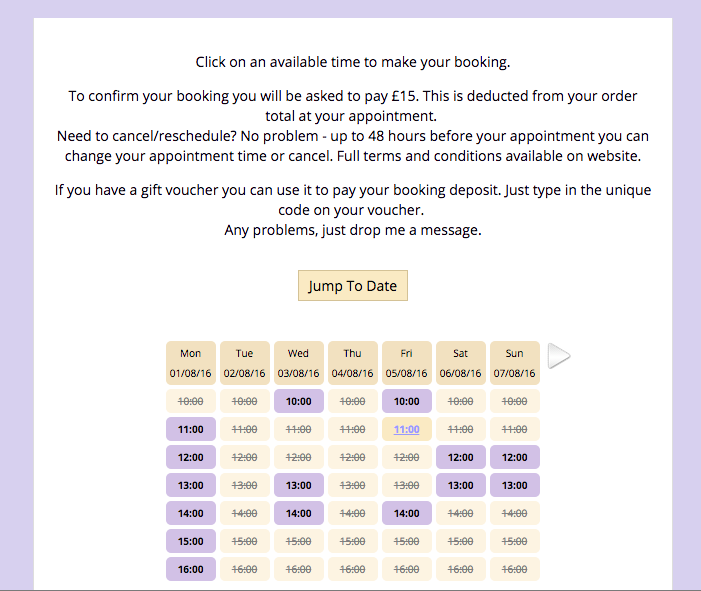 My online booking system lets you choose a date and time that suits you best. 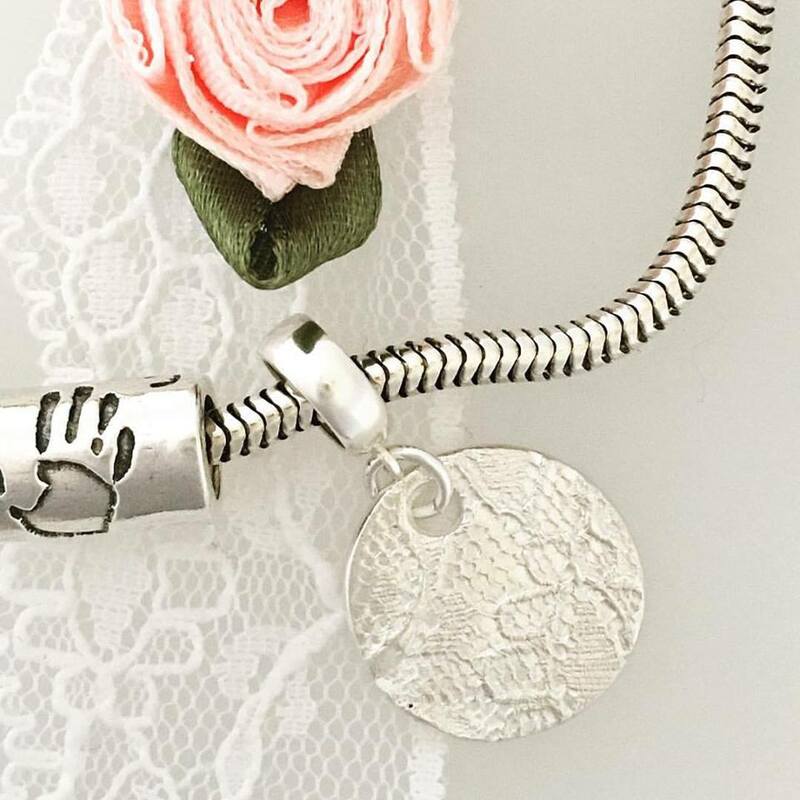 Whether you would like to cast on the same date as your first child was cast, or to mark a milestone event, or maybe just because it fits into your busy routine – you get to choose. You will be asked for a £15 deposit. 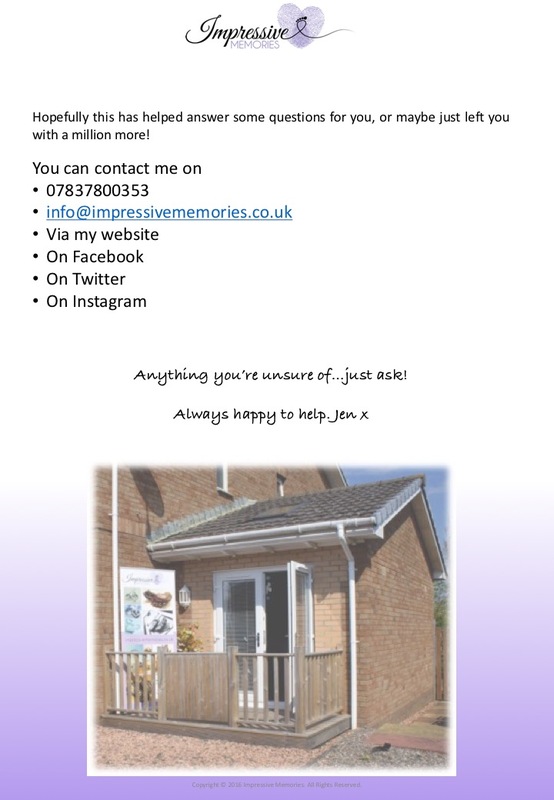 Do you have an Impressive Memories gift voucher? 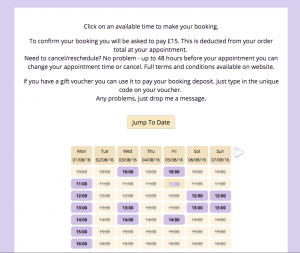 There’s a unique code on the reverse, which you are welcome to use when you make your booking – just pop the code into the booking form. If you need to reschedule, it’s no problem – your confirmation email has a link for you to do this, up to 48 hours before your appointment. Your email will also give you travel directions and how to find me on Google Maps. You can also select an option to receive a text message confirmation and reminder too! Dress your little one in comfortable clothes that are loose fitting and easily removed. 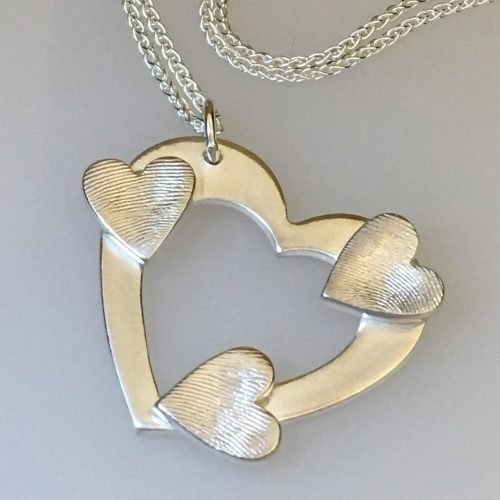 Preferably choose something old so it won’t matter if the casting gloop gets on it – I know it’s tricky to wear old clothes when you are only a few days old, but you know what I mean! 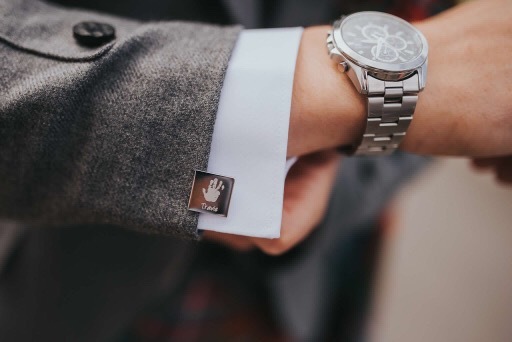 It’s probably best that you don’t wear your favourite designer gear either…just in case! What if they are sleeping? Casting can be done when baby is awake or asleep. You are very welcome to feed your baby while I do the casts, as it helps to distract, relax and settle them. It’s not necessary and is purely optional – you know your baby best, and I’m happy to let you decide what’s best for them. Some babies cry, but most don’t notice anything is happening! There is never any rush – we will let them settle while we discuss what you’d like created, and throughout the process your little one’s comfort is our top priority. You’re also welcome to enjoy a lovely Tassimo coffee or a cup of tea as we create your memories. 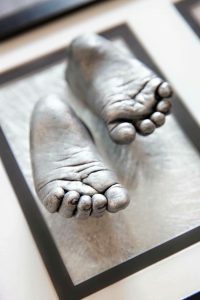 How are baby lifecasts made? Taking the cast involves dipping your baby’s hand or foot into pink gloop. I’ll help you and baby get into a comfy position, and once their hand or foot is submerged it only takes a couple of minutes to set. Don’t worry – wriggling is not a problem! 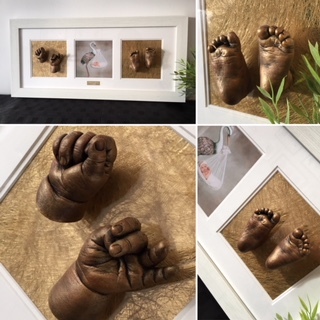 Once the mould turns to a soft, rubbery consistency it will come away from baby leaving them virtually clean and me with an impressive impression of their hands and feet. 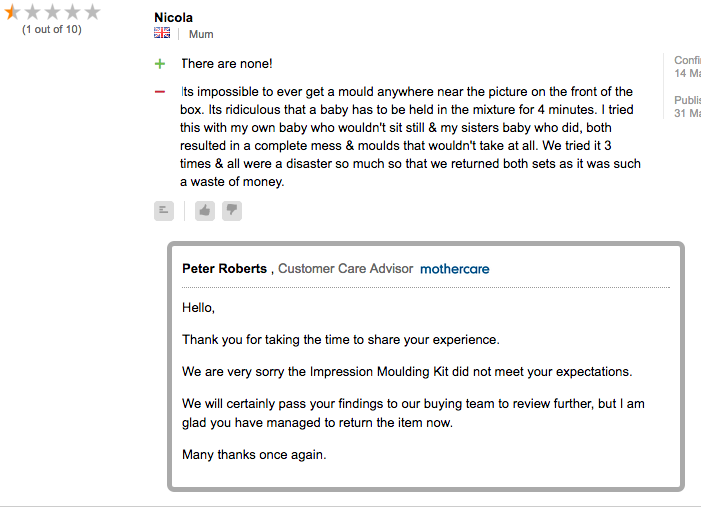 I will be 99% sure whether your mould has been successful, or if I want to take extra casts (so long as baby is happy). Occasionally I have an issue after you’ve left, and I might need to call you back another day, but this is extremely rare. For every cast you would like made I need to take an impression. 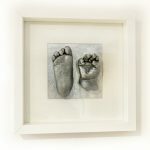 The mould cannot be reused and although I can create duplicates of your casts, I prefer to take a separate cast for each mould you’d like created – each cast is then as unique as your baby. 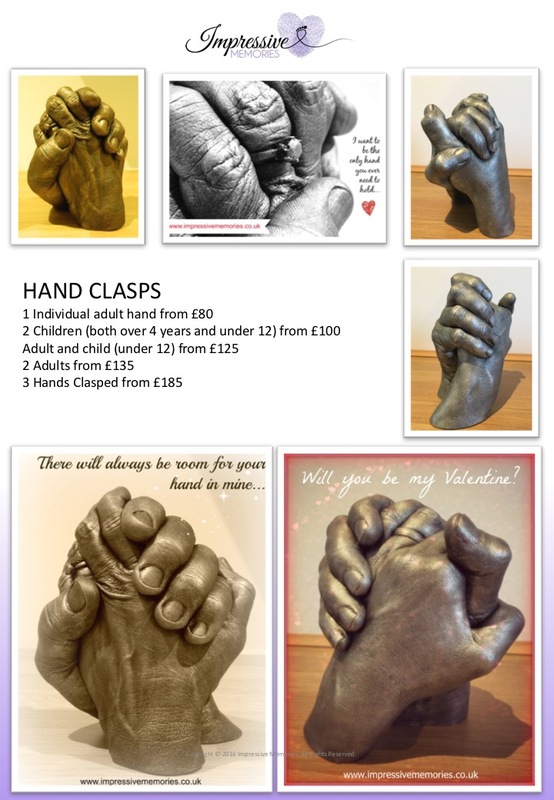 For hands I often need extra moulds to ensure you get the best results. Most casting appointments last about 45 minutes for a set of three or four casts. You are very welcome to split the cost of your order. Your booking deposit will be deducted from your order total and you can pay half your balance at your appointment and the remaining balance on collection, in approximately five weeks’ time. I accept cash, PayPal, bank transfer and most major credit cards. After you leave, I will begin to cast your moulds. This stage involves filling your impressions with a high quality, high density stone. Once this is done, your casts will be left to cure and set for several hours. 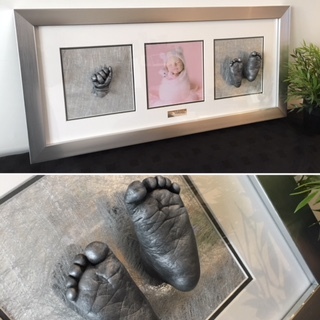 When they are ready to unmould I remove the casting material to reveal the cast of your baby. The raw cast at this stage might have lumps and bumps, air bubbles or inclusions. At this stage your casts each get an initial ‘clean up’, which can take anywhere from ten minutes per cast to a couple of hours! (I am a perfectionist and a night owl!) They now begin to dry. The drying stage is so important. Remember how long nine months felt waiting for your baby to arrive? But it was worth the wait, wasn’t it? Life casting is the same! Giving your casts the time to dry naturally and correctly gives them the strength, density and longevity that you want from them. 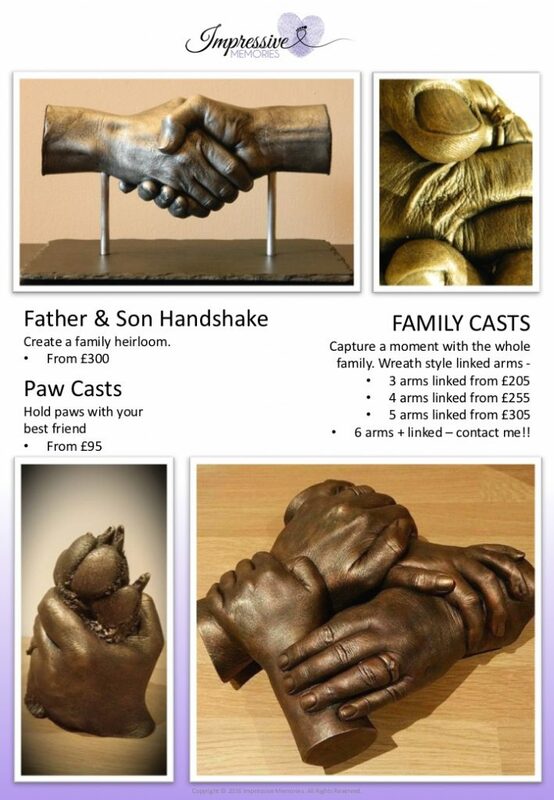 Depending on the size of your casts, I advise a minimum completion time of four to five weeks. 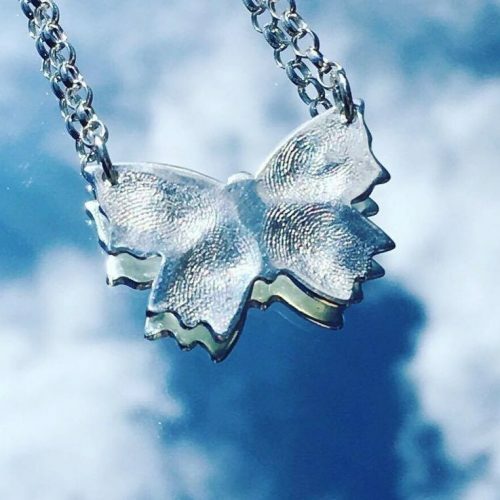 During this time, they will undergo more cleaning and perfecting, and I also cut and sand them to the appropriate shapes and angles for the frame and finish you have chosen. The final cleaning stage for a raw cast is my favourite part! This is when your casts are as impressively perfect as I want them to be. They are then ready to be finished. 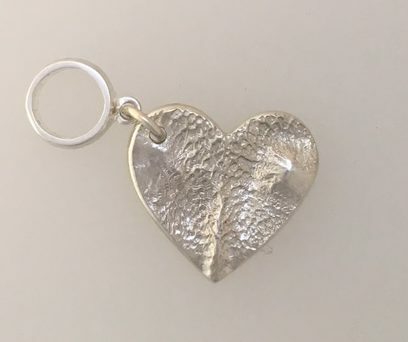 I use several layers and techniques to bring out all the detail in your casts, with whatever finish you have chosen. 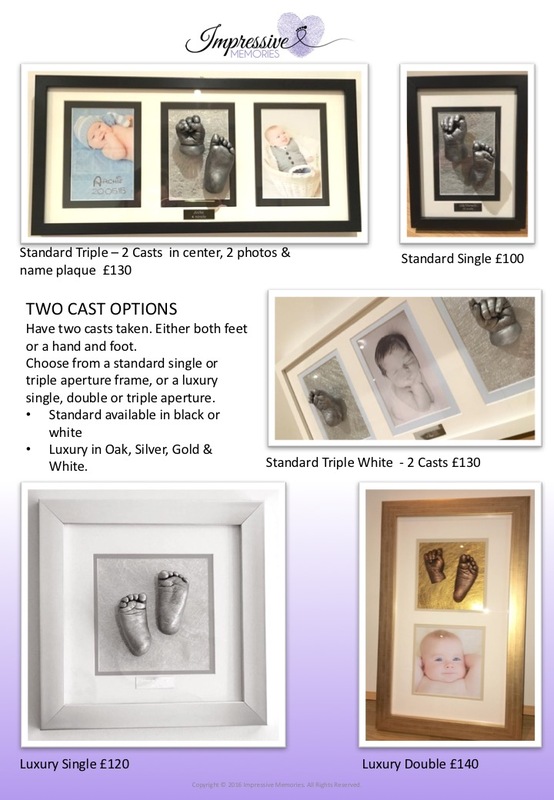 Your frame choice, photographs and name plaques are now all ready and waiting, and it’s time to assemble your finished piece. A final 24-hour wait until everything sets and cures, then it’s time to collect. Once your order is ready I will let you know. 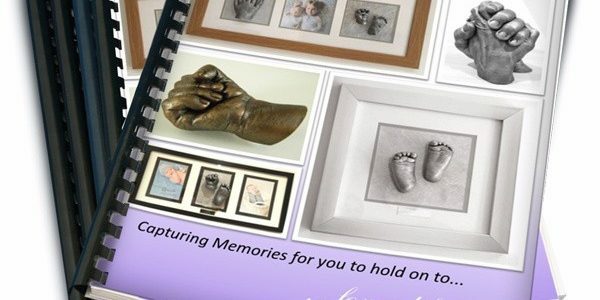 We will arrange a suitable collection time and you can come and take your Impressive Memories order home with you. Impressive mummy Victoria Duff and her beautiful daughter Amber, who helped create all the images in this article. Impressive photographer Lisa Christie, from Lisa Christie Photography who provided the excellent photography for this article. I’m ready to book an appointment – take me there now! DIY Life Casting Kits -The problems with life casting kits & why they are a waste of money. 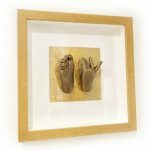 Should you use a DIY life casting kit? 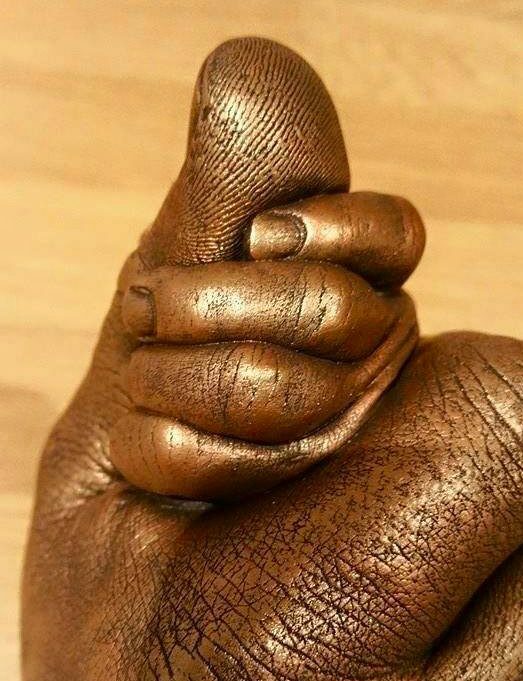 So many parents have told me they attempted to cast their baby using a casting kit, not one of them continues to tell me it was a success, or that they were happy with the results. 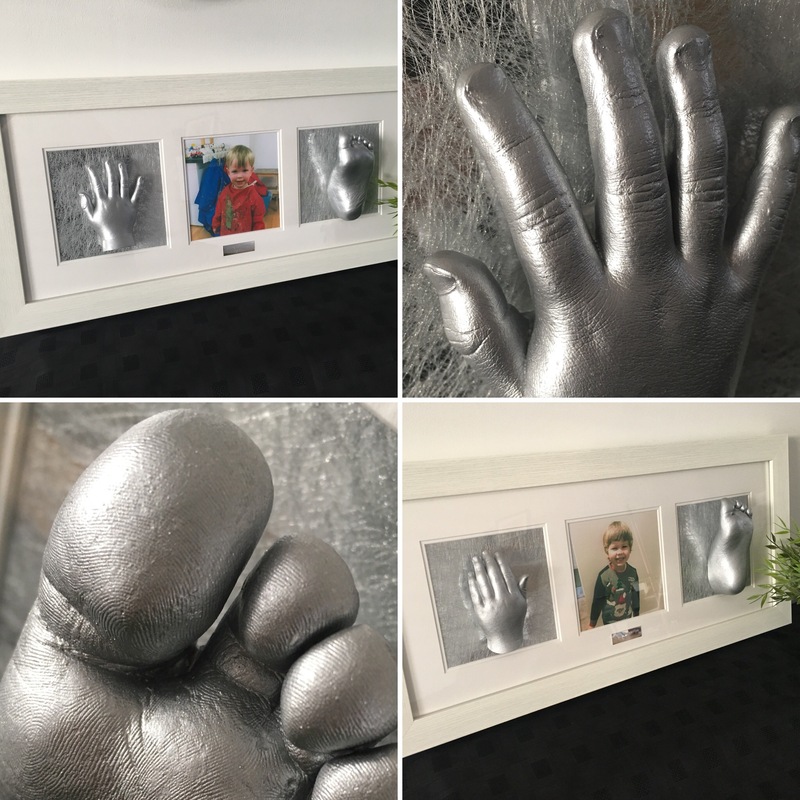 The promise is to create a beautiful 3D cast of their precious child’s hand and feet, creating a keepsake to treasure, making a memory. New parents think it is their fault that the results are not what they hoped for. They are left disappointed and often with a large dent in their wallet and nothing to show for it. I believe that casting kits are selling a box of expectation, but deliver an expensive disappointment. 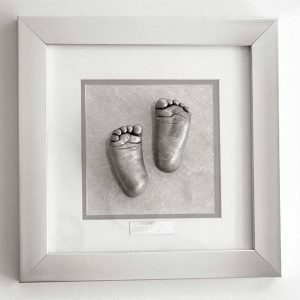 WHAT DO YOU NEED TO CREATE SUCCESFULL BABY CASTS? The kit will often have attractive packaging with pretty pictures, but sadly not much else. The box won’t tell parents what is involved (because then they’d never buy it) so that information is kept for inside the shiny box of hopes and dreams. The reality is this. Expecting a person with no skill or experience, to work with low-quality materials, no tools, no machinery and very limited instructions, with unrealistic images and expectations – leaves parents feeling like they have failed. 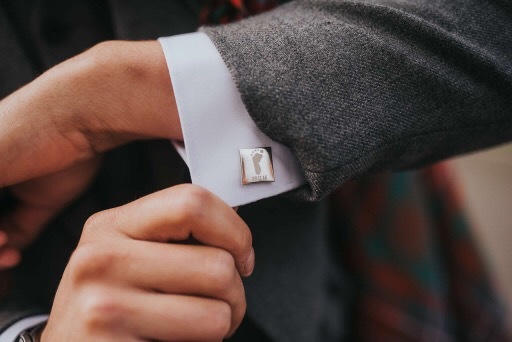 They’re out of pocket and with either no end result, or at least a disappointing one (they still have that pretty frame – just to remind them of what they’d hoped would display a cast). The instructions provided will likely be very brief also. Each situation is different, as is each baby you cast. There are so many variables that it is just impossible to write a brief set of instructions. Life casting can become fairly scientific. Asking a sleep deprived new parent to read a manual is not a good idea! 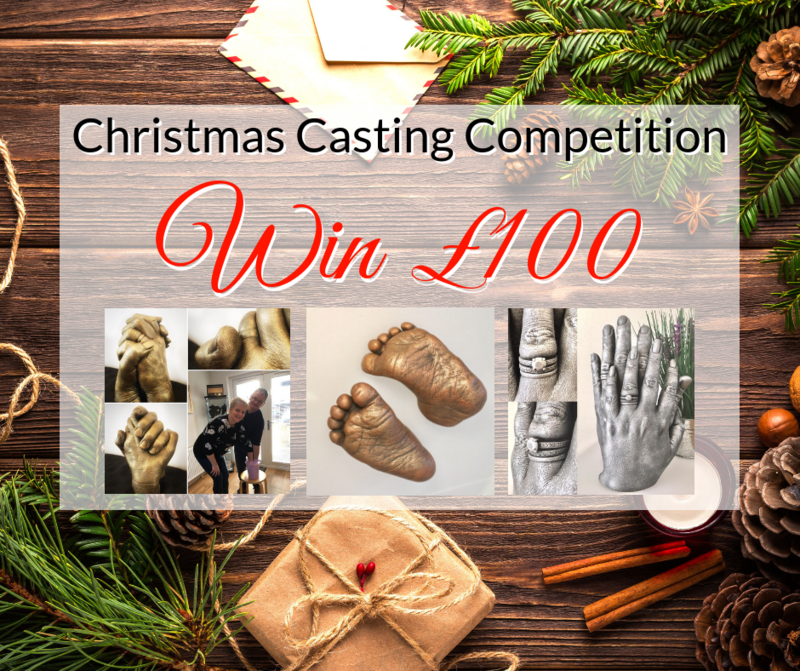 My passion, nae obsession, for life casting started after I bought a kit! I saw an advert in a magazine that showed a beautiful, high definition cast of a baby’s hands and feet. 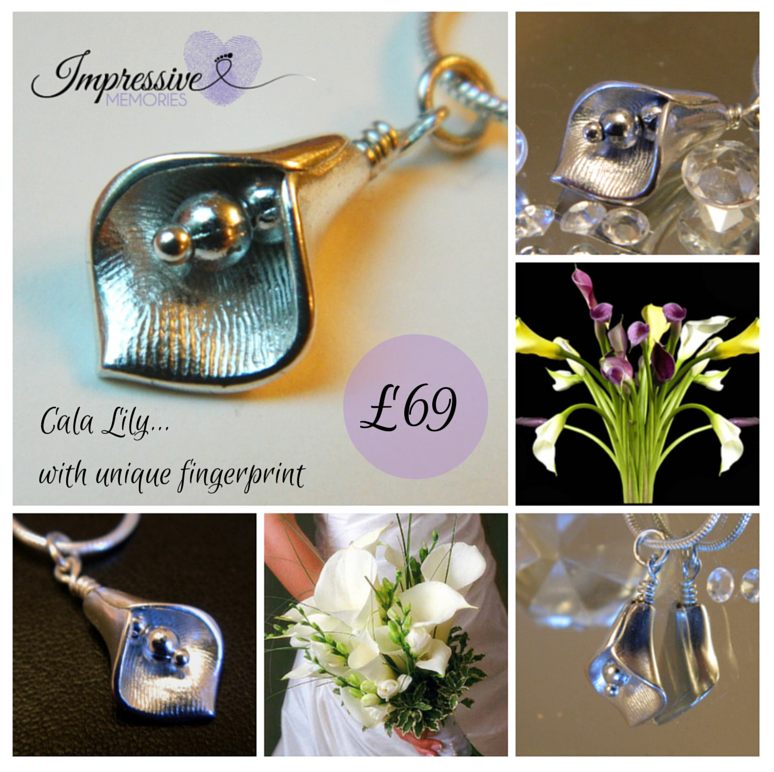 I have always been artistic and loved being creative and crafty, I reckoned I could do this. The kit was expensive, but it promised great results. So I bought it. I ended up with a screaming child, half a foot cast, a hand with no fingers and a LOT of mess! But I was determined not to give in…I kept buying more and more products, I borrowed other peoples babies (when mine had learned to high pitch scream as soon as she saw mummy and the pink goo approaching!) I experimented, I read, I learned, I practised. 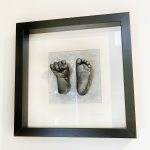 Over and over and over again…I did manage to make a set of my daughter’s feet as a gift for my mum & dad, but I never made anything worthy of a frame for a long time, and regret to this day that I don’t have my own child’s casts proudly on my wall. CASTING KITS “YOU GET WHAT YOU PAY FOR” Or do you? 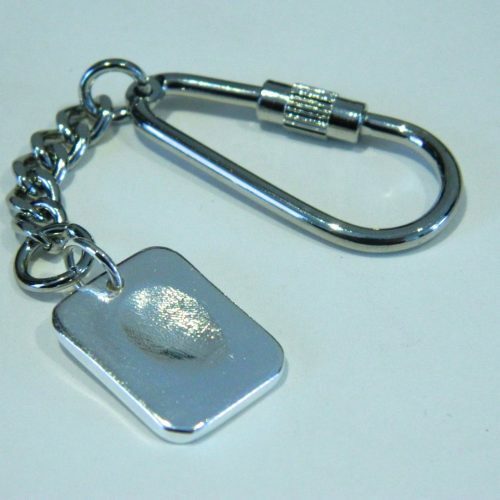 Several companies offer casting kits. I have chosen to look at Mothercare as an example. 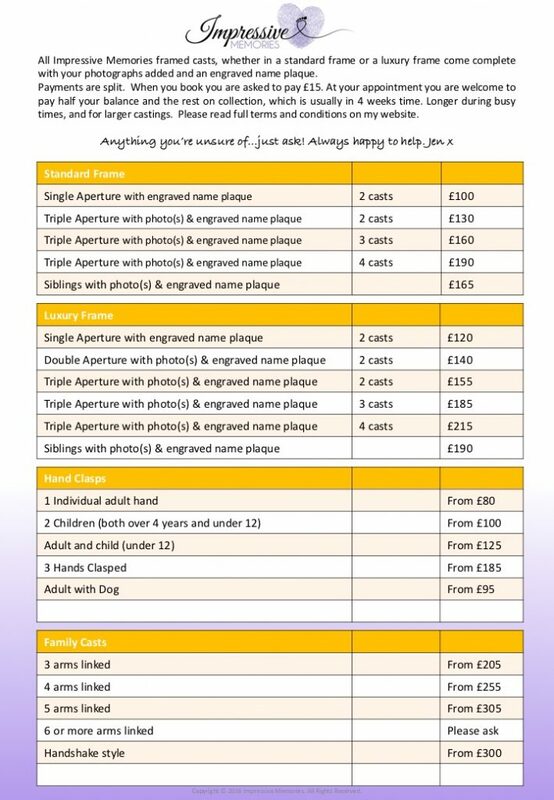 They are a highly successful company, they are a name that parents trust and their kit is easily accessible to purchase. 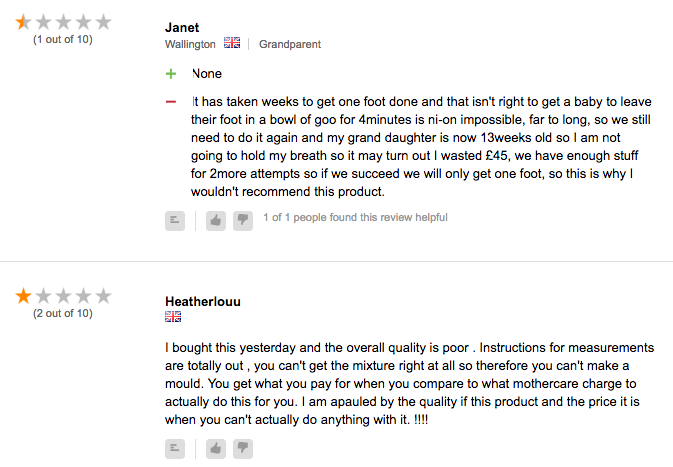 All images relating to this review are taken from the Mothercare website & links to the original provided. The box measures only 26cm so the frame can’t be any bigger. Expectation – You would expect to create something similar to the images shown. 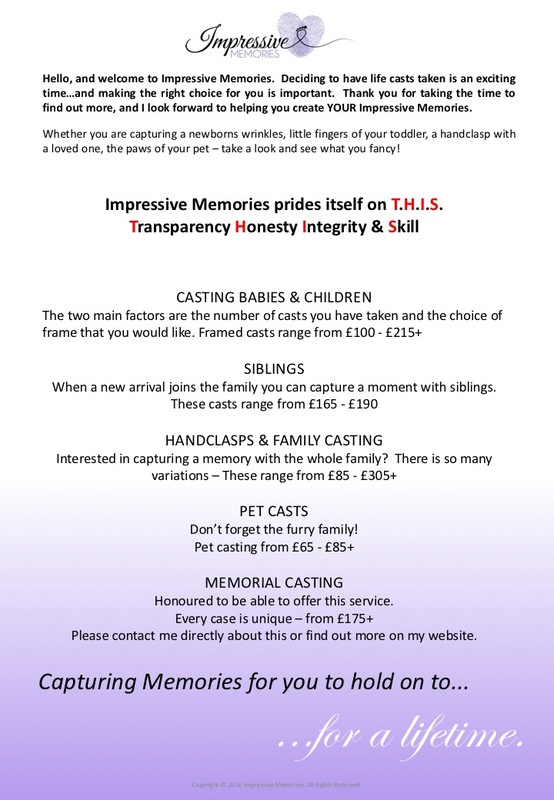 Reality – You are paying predominantly for marketing and producing a kit – ah and a frame. 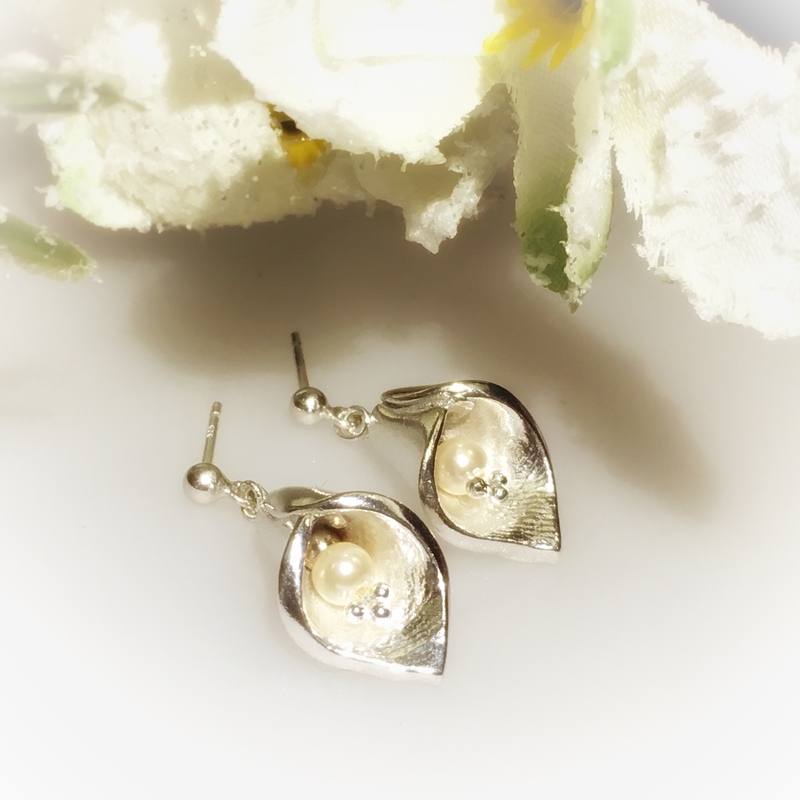 The materials provided could be minimal in quantity, with no guarantee of quality. That makes it an expensive frame in a pretty box! 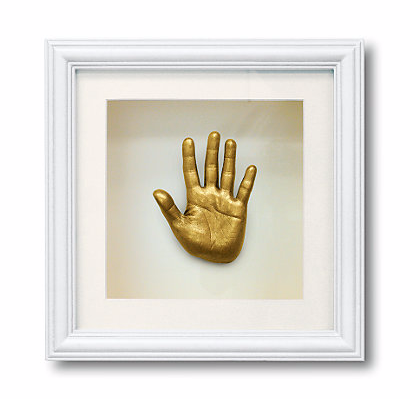 Reality – Firstly, casting a baby hand is not an easy task. Many experienced life casters struggle to do this, so to expect a new parent to manage this is unfair. 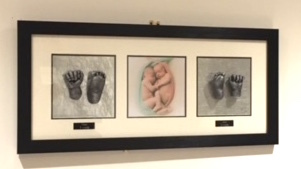 PLUS – Babies do not hold their hands as shown in this image…that hand cast is taken from a much older child. 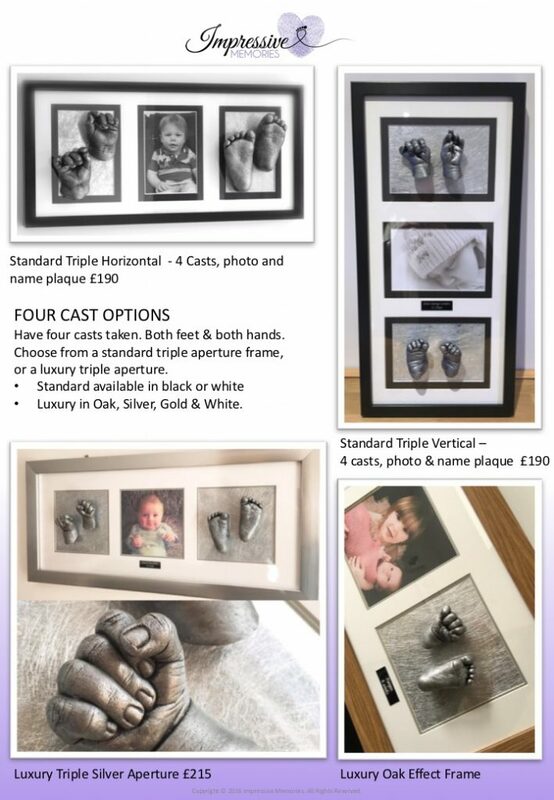 This in itself is not an issue, the kit doesn’t claim to be only for babies, but if this frame is less than 26cm in size, and you look at the dimensions of the frame, the mount and the hand, the dimensions appear impossible…Could that hand cast and that frame have never met? Could this be a combination of two separate images, merged using technology? This picture is better. If you zoom in on this image on the website, you do get a truer indication of the end result you’d hope to create. This cast has virtually no definition, the big toe is damaged and there are several very noticeable lumps and bumps, also flattening to the sole of the foot. At least this image is a more accurate representation of what you MIGHT achieve. 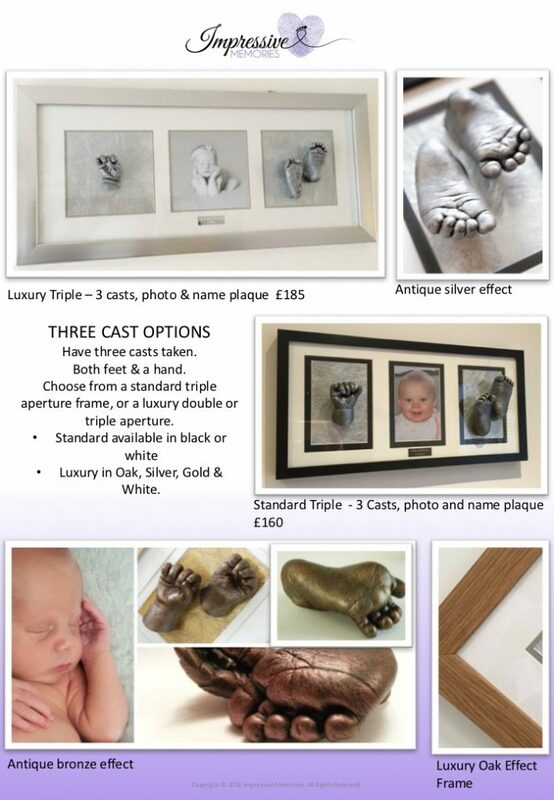 But £45 for a single foot cast is not much cheaper than many life casters charge – is doing it yourself worth the extra time, effort, stress & mess? Not everyone is unsuccessful – but be realistic. If only one customer in ten has managed, will you? Do you mind if it doesn’t work out? 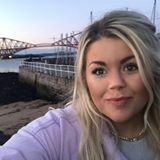 Is losing £45 an issue or not? Unfortunately, the reality is that kits can be a false economy. 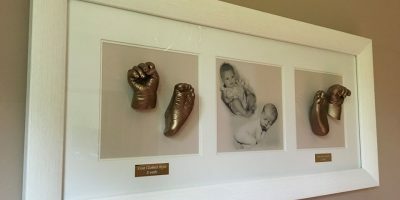 Yes, they are cheaper than paying a professional life caster, but the chances of ending up with a final product worthy of hanging on the wall is far less likely. So you could be paying a lot of money to end up with the possibility of having nothing to show for it. 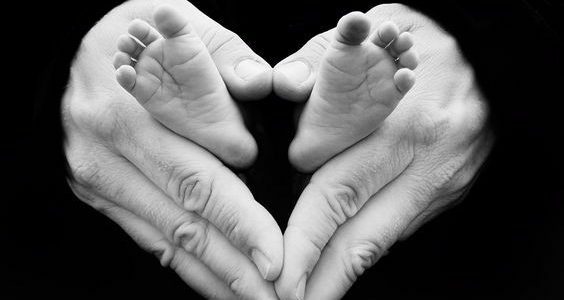 Life casters have experience, they have the skills, the correct materials, and the knowledge to keep your precious baby safe, content, relaxed and at ease – giving you the very best result. Of course, differences between life casters also varies hugely too…so again…research is important. I wrote a blog about this too…it’s HERE. Also check out my Q&A web page full of hints and tips on how to get the best life casting results for you. Still fancy getting creative? by all means, have a bash! 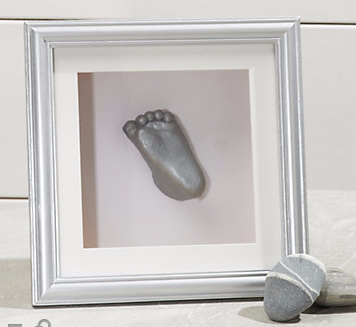 Try making some foot impressions in salt dough. Paint those little fingers & toes and make some gift cards. Sprinkle your child in glitter and have some fun. But when it comes to life casting – use a pro.